The platitudes for Kobe Bryant became non-stop both moments before and after he would cap his 20-year NBA career with a 60-point performance. With all the compliments he heard that night, nothing stood out more than what Magic Johnson said. As he stood at center court, Johnson called Bryant “the greatest to the wear the purple and gold” before gushing about a few accomplishments. Johnson pointed out Bryant’s five NBA championships. Johnson touted Bryant’s third-place standing on the league’s all-time scoring list. Johnson highlighted Bryant’s endless ability to play through injuries. It turns out Johnson did not just say those things in the heat of the moment. Johnson reported having the same sentiment during a recent appearance on ABC’s ‘Jimmy Kimmel Live.’ Johnson maintained that stance even when Kimmel brought up Johnson’s own five NBA rings with the Lakers. 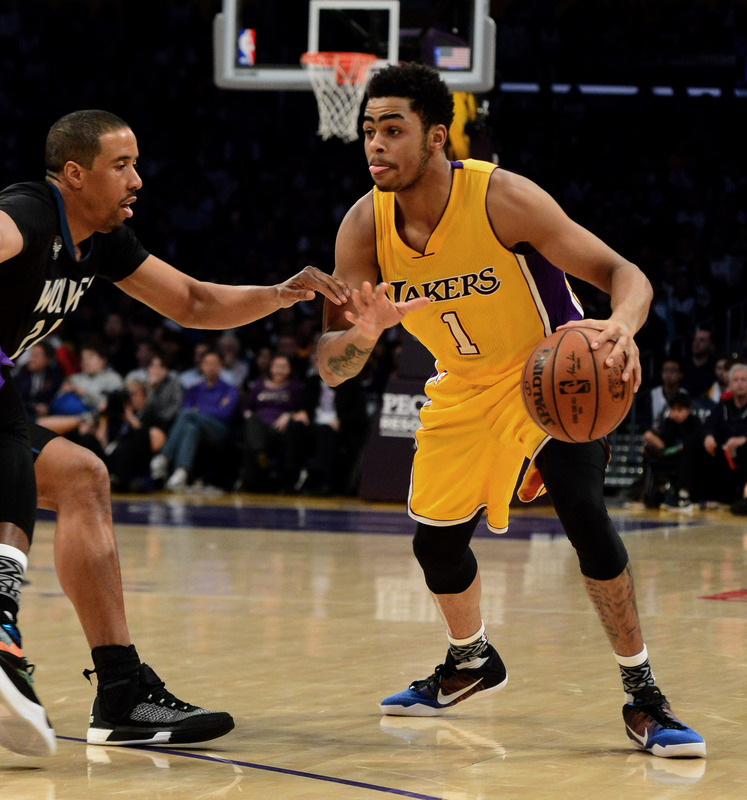 D’Angelo Russell’s initial arrival sparked Byron Scott to compare him to Magic Johnson. Russell’s potential as the Lakers’ No. 2 draft pick led many to paint him as the candidate Kobe Bryant would pass the torch to in his final NBA season. Russell soon learned plenty of time awaits before that might happen for reasons involving both circumstances both within and beyond his control. The NBA named Russell as part of its All-Rookie second team along with Miami’s Justise Winslow, Denver’s Emmanuel Mudiay, Indiana’s Myles Turner and Sacramento’s Willie Cauley-Stein as determined by select NBA writers and broadcasters. Russell experienced unique challenges that made it difficult to truly evaluate his growth. 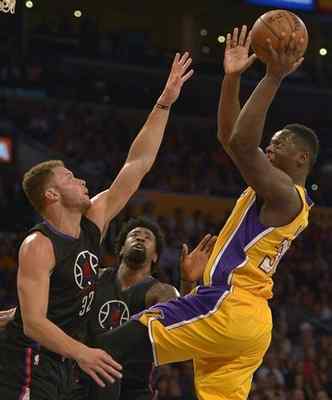 He shared ball-handling duties with Kobe Bryant, Jordan Clarkson and Julius Randle. Russell appeared uncomfortable at times under Scott’s Princeton-oriented offense. He also lost his starting spot 20 games into the season and did not play in the final moments both in late-game situations and lopsided defeats. That role did not change until shortly after the NBA All-Star break in mid February. Yet, Scott’s handling of Russell partly reflected team-wide concerns on his attitude, maturity level, work habits and overall consistency. Some of those issues became more pronounced when Russell recorded a video that accidentally became public of teammate Nick Young admitting to infidelities. Nonetheless, the 20-year-old Russell showed promising signs that could become more pronounced in the 2016-17 season. He became the youngest player in NBA history to make at least 120 3-pointers in a single season. He posted at least 20 points in 13 games, including two of them that including a 30-point plus performance. The Lakers have also become intrigued with his court vision and passing. All of those skills could improve under newly hired Lakers coach in Luke Walton, a presumably larger role and a year of NBA experience. NBA Draft: What will Lakers do with No. 2 pick? After spending most of the past 20 years becoming the Lakers’ main on-court attraction, Kobe Bryant has not wasted time promoting other sports’ stars. Bryant’s latest efforts did not involve pitching his recent competitors on the hardwood, though. It involved Bryant pitching those that, well, play on the pitch. The former Lakers’ star appeared in a promo for coverage surrounding the Copa America Centenario telecasts on Fox, Fox Sports 1 and FX. There, Bryant listed several soccer stars, such as Argetina’s Lionel Messi and Uruguay’s Luis Suarez. Bryant dis so with the same enthusiasm and familiarity that both many of Bryant’s peers and fans did for him. Bryant has remained a longtime soccer fan of the Brazilian national team, FC Barcelona and AC Milan. Hence, it hardly seems surprising that one of many Bryant’s retirement ventures includes promoting the “Beautiful Game.” It will likely include attending the event as well, which begins on June 3 with the U.S. hosting Columbia in Santa Clara. 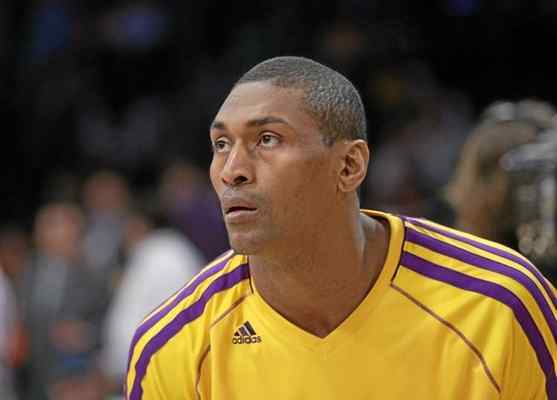 Fans will have a chance to meet and hear Metta World Peace speak, and the issues will prove far more important than his stint with the Lakers that included a significant role in winning the 2010 NBA Finals. World Peace plans to speak about mental health issues at an event open to the public for free at El Monte airport on Saturday from 10 a.m. to noon. 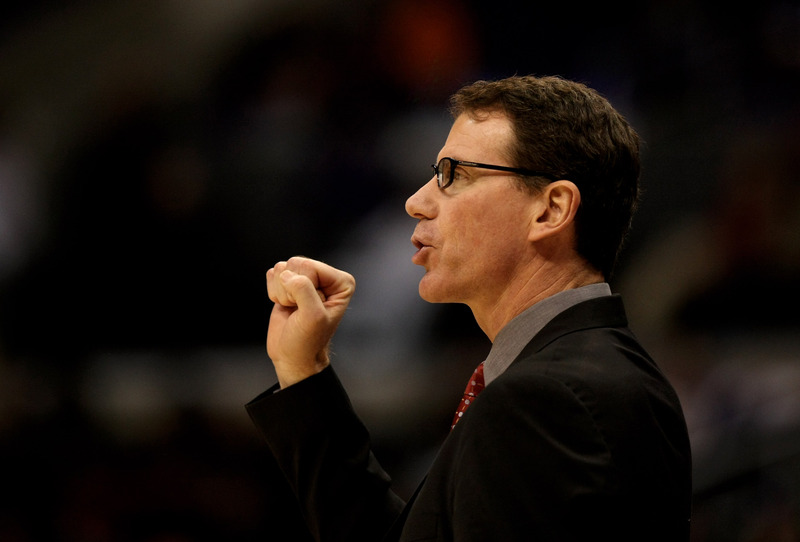 Below is an edited Q&A with Kiki Vandeweghe, the NBA’s senior vice president of basketball operations, on the league’s current NBA draft lottery system and why does not sense any “imminent” changes. This interview was part of a larger story capturing the various sentiments around the league on the NBA’s draft lottery system. What do you think of the current NBA lottery system? Have there been any recent league proposals to change it? [Editor’s note: A super majority would require 23 out of 30 NBA teams to vote in favor of any rule changes]. What were the concerns against any changes? Vandeweghe: “I think the people who were really focused on not wanting change were focused on what the upcoming salary cap bump can do. The salary cap is going to go to 90 [million] plus. We’ll have a lot more money in the system. How will that change behavior? How will that change team building? The draft is only one aspect of team building. You have trades and free agency. They all work together. They work together well. Were there concerns expressed about any lottery reform hurting small market teams more than large market teams? Some expressed the idea that for small markets, it’s more imperative they’re able to rebuild through the draft. The Lakers may enter training camp in the fall of 2016 with a much more cheerful note than the past two seasons that featured endless. That sunny outlook, however, will not coincide with the Lakers staying at a poolside hotel and saying “Aloha” to fans. After spending the majority of training camp last season in Hawaii, the Lakers will spend most of their preseason in the comfortable confines of their practice facility in El Segundo. The Lakers will also primarily play in the Southern California area. They will begin and end exhibition play at the Anaheim’s Honda Center, including their preseason opener on Oct. 4 against the Sacramento Kings and their preseason finale against the Phoenix Suns. The Lakers will host two games at Staples Center, including the Denver Nuggets on Oct. 7 and against the Portland Trail Blazers on Oct. 11. The Lakers will also visit Ontario’s Citizen Business Bank Arena (vs. Denver on Oct. 9). The unique quirks to their schedule will include two games in Las Vegas, including against Sacramento on Oct 13 and Golden State on Oct 15 at T-Mobile Arena. Although they play in Las Vegas every year in preseason play, the Lakers have not hosted two exhibition games there since the 2006-07 season. The Lakers will also play in San Diego against the Golden State Warriors on Oct. 19 at Valley View Casino Center. That could became a game of intrigue considering Lakers coach Luke Walton’s connections. Walton served as an assistant coach for Golden State the previous two seasons. Walton grew up in San Diego and starred at the University of San Diego High School. Officials also called the Lakers-Warriors game early last year because of frequent wet spots on the floor. Tickets for games in Anaheim, Ontario, Las Vegasn and San Diego go on sale at at 10 a.m. PST on May 16. Meanwhile, tickets for the games at Staples Center will go on sale at a later date. Fans can buy tickets for the games at Honda Center through www.ticketmaster.com and or through phone at 1-800-4-NBA-TIX. Tickets are priced at $27, $44, $79 and $129. Group seats of 15 or more are available for purchase by calling 1-714-940-2859 or visiting www.hondacenter.com. Tickets for games in Ontario, Las Vegas and San Diego are available through www.axs.com or by phone at 1-888-9-AXS-TIX (1-888-929-7849). Tickets for the games in Las Vegas will also be available at the T-Mobile Arena Box office. Tickets ordered for the Ontario game are priced at $25, $45, $70, $95 and $136. Tickets ordered for the Las Vegas game have various price ranges at $25, $42.50, $55, $80, $105 and $155. Tickets in San Diego are priced at $30, $45, $75 and $105. Group seats of 15 or more for the San Diego game are available for purchase by calling 1-619-363-5330 or emailing Jen@JDCgroupMarketing.com. Tickets for the games in Anaheim have cost ranges from $27, $44, $79 and $129. Group seats of 15 or more are available for purchase by calling 1-714-940-2859 or visiting www.hondacenter.com. For a player who devoted countless hours on the hardwood, it did not take long for Kobe Bryant to find his other calling. After sharing during his 20th and final NBA season that he loves storytelling, Bryant made a significant leap toward tackling that craft. 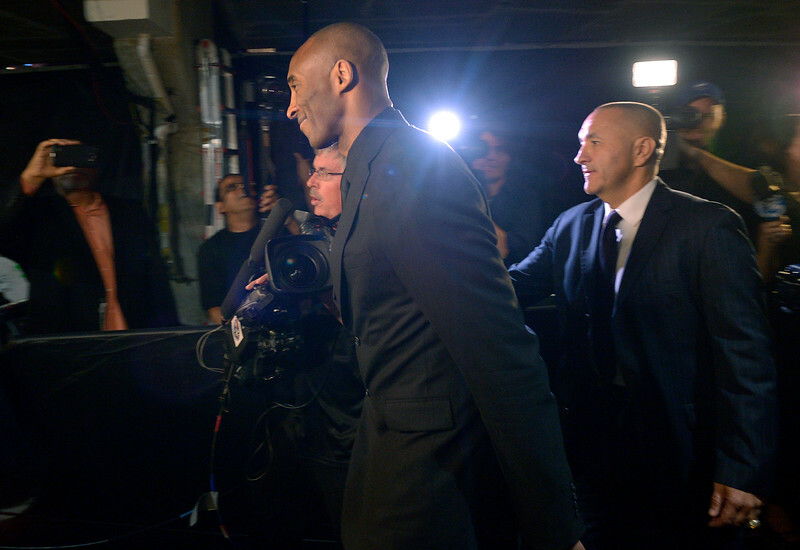 Bryant’s production company, “Kobe Studios,” partnered with Sports Illustrated Group & Believe Entertainment Group to produce various multi-platform video projects. That will include the premier of “Dear Basketball,” an animated short film on SI.com for a fall release that expands upon Bryant’s retirement poem he published for “The Players Tribune” website on Nov. 29, 2015. SI Films will also release mini documentaries that shows behind-the-scenes footage of the animation process. Bryant will narrate the short film that Glen Keane will animate and John Williams will compose with a musical score. Keane worked on various Disney films, such as Aladdin, The Little Mermaid, Beauty and the Beast, Tarzan and Tangled. Williams has won five Academy Awards for his film scores for Fiddler on the Roof, Jaws, Star Wars, E.T. and Schindler’s List. Williams is also well know for his music compositions for Superman, the Indiana Jones series, Jurassic Park and the Harry Potter films. Another loss added to Byron Scott’s resume nearly any time he coached a game. So much that the Lakers finished with their worst record in franchise history for two consecutive years. So much that Scott’s combined 38-126 record finished just above George Mikan for the franchise’s worst all-time winning percentage among its 20 coaches. So much that the newly hired Luke Walton compiled more wins as Golden State’s interim head coach (39-4) this season than Scott collected through two years. That sentiment changed last week after Scott went to the Lakers’ practice facility on last Sunday evening.